After crossing the new and visually striking Tappan Zee Bridge, officially named the Gov. Mario M. Cuomo Bridge, over the Hudson River, this highway traveler decided to exit the NYS Thruway at the first exit after the bridge, Exit 10 for Nyack in Rockland County. 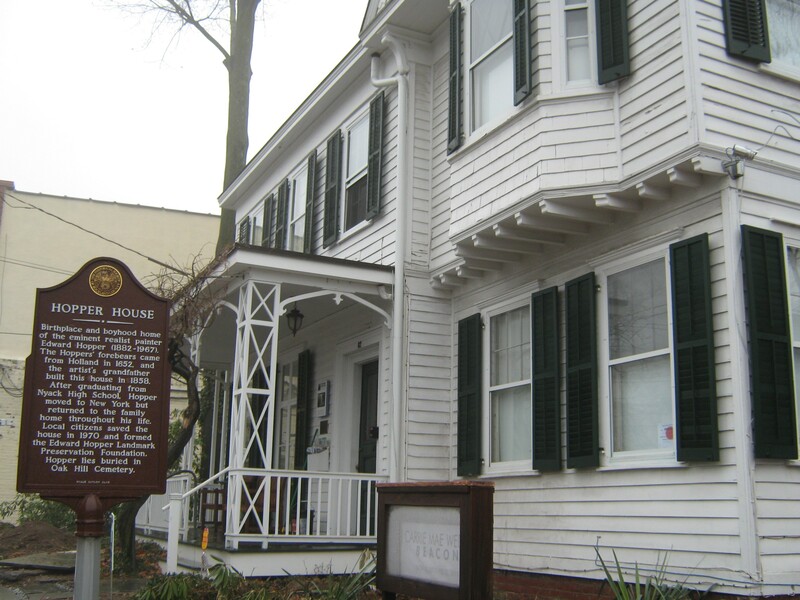 Relying carefully on the highway signing for Nyack, the zigzagging twists and turns to maneuver around the Thruway and exit ramps eventually led to the main street of this historic river town. 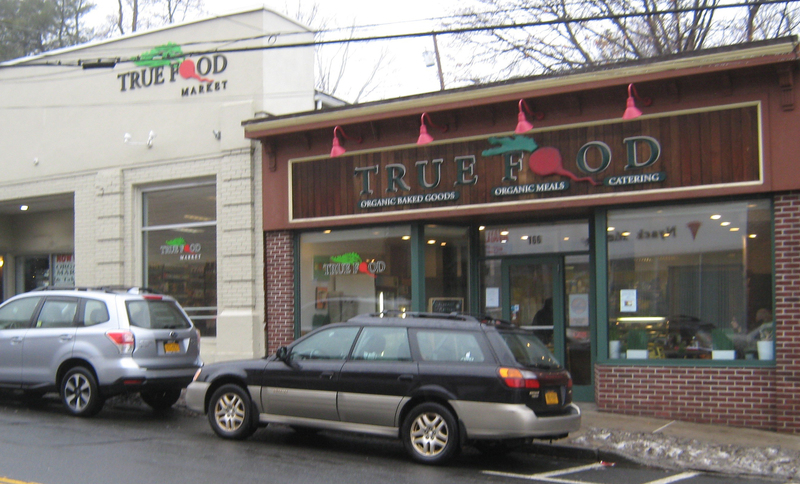 What prompted this extra mileage on a trip home to Albany in upstate New York from New York City was the desire to avoid a rest area stop for a hearty and healthy (and organic) breakfast at True Food on Nyack’s Main Street that runs down to the Hudson’s western river bank. True Food’s motto, Serving Real Food, Made by Real People, was a magnet for this traveler. Breakfast at this organic restaurant proved to be Exhibit 1 in demonstrating True Food’s guiding principle that preparing food is a labor of love and that health, beauty and art can be served on a plate. Its owner/chef Pamela Schulz has described her cooking style, as organic home-cooking, and my Deluxe Breakfast Burrito with two organic eggs, scrambled, Cabot cheddar cheese, organic potatoes, organic avocado and organic bacon was an energizing freshly-prepared meal. 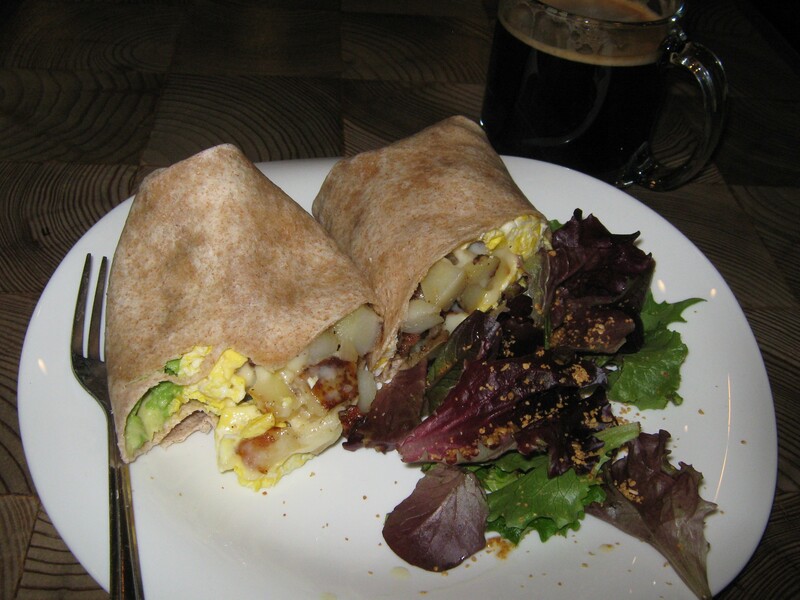 Complimenting the delicious breakfast burrito was a jolt of caffeine from a delicious cup of flavorful coffee made with organic and fair traded coffee beans from Larry’s Coffee. 100% of Larry’s Coffee is fair trade, shade grown, and organic. 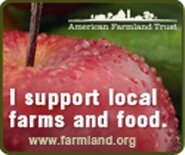 Plus on its website, Larry’s Coffee notes that its green-o-vated facilities use passive solar construction, active solar systems, radiant floors, zoned heating, composting, and rainwater harvesting to minimize our impact on this awesome planet. A big wow for True Food’s breakfast burrito and Larry’s Coffee is in order. WOW!